Energy asset risk management is critical. Using the health analytics approach in the previous blog, we looked at some of the key analogies and why they make sense. In this next part of the blog we’re going to look at some examples of the actual issues to be aware. Plus, we’ll look at how real-time monitoring & analytics of these key factors can lead to lower asset failures, reduced degradation levels and longer capital lives. Overall this will lead to lower costs through risk mitigation. When you go to the doctor for an annual check up (as we mentioned in the previous blog) you’re typically tested for specific markers. This is to make sure that you are within safe physical limits. Examples are cholesterol, blood pressure, BMI, resting heart rate etc. The wider list is long and exhaustive. The same applies to an electrical system and the key electrical assets it powers, for example motors, pumps, chillers, HVAC system etc. Key fact number 1 – there are physical limits within which a business’s electrical system should remain. If a business wants to enhance its asset lifetimes and get serious about energy asset risk management it must aim to remain within these limits. Moving outside these physical boundaries will cause stress to the system. And, more importantly, put production & revenue at risk. Essentially, the longer an energy system can remain within these limits, the greater the chance for everything to run for longer without issue. Simple examples of energy asset risk management within an energy system are voltage and current. Both of these have different reasons to keep them optimised for your electrical system & assets. You could think of voltage like blood pressure. We do not want it to be too high or too low but within a defined range. This range is dependent upon the assets (they are designed for specific ranges) and the distribution system you are working within. Move outside these defined limits for a period of time and you are more likely to induce asset degradation and / or failure. With current, electrical systems are set to trip at certain levels for protection. Overloading a specific phase can lead to nuisance tripping which will lose you valuable hours to deliver revenue-creating products & / or services. This overloading of a particular phase, leading to unexpected tripping, happens when electricians favour adding new equipment to a specific phase. This will lead to a build up of imbalanced phases over time. Going back to where most electricity is used within commercial & industrial organisation, motors, it is critical that they work with balanced current inputs. If these become imbalanced then it creates additional mechanical stress. This stress will provide a greater chance of shortening the motor’s life. There are numerous client case studies where we have been told about motors being replaced / rewound every 5 years. They should last for 10+ years. When we investigate, we typically find that the electrical system’s 3-phase currents are severely imbalanced. This simple monitoring of current imbalances & rebalancing if required can lead to longer lifetimes. This will lead to lower capital spends & a higher return on capital investment. Yet, this is just one simple and small element of energy asset risk management within an energy system. Physical limit analysis and the increased probability of failure & / or degradation applies to all electrical data. There are about 50-60 data points of value in any electrical meter. They all provide energy asset risk management markers to be acted upon at specific points. All of these can be monitored in real-time and responded to if their limits are broken – enabling you to to mitigate overall systemic worries. Figure 3 (lower down) gives a graphical example of a voltage limit issue. Voltage levels are critical within electrical energy systems as all electrical equipment is rated for a specific range. Move outside of this range and equipment will start to degrade and, in the worst cases, fail catastrophically – causing potentially serious health and safety risks. So, keeping within voltage tolerances is really important for lots of reasons. At this client site (figure 3) a new transformer was installed. Monitoring the voltage levels, our system found that the voltage had not been set correctly (point 1) by the transformer installation business. We noted the detrimental setting and ensured that the client was made aware that the tap settings needed to be changed. This was then done (point 2 on diagram.) This is a simple example of real-time energy asset risk management working as required. This client has a daily product valued in the millions. This action saved the client from a potentially significant production failure at some point in the future were it to continue. Although difficult to value, this provided a hugely beneficial input to their business moving forward given its risk reduction value. However, knowing that you are currently within your limits is good now, but does not tell you anything about how you are expected to be in the future. Hence, trend analytics for these “health limits” are important. They will enable a business to determine where risk factors may be expected to occur. This will enable proactive behaviour – something even FitBit or the doctor don’t provide for you now. We can breathe easier when issues are discovered or the absence of issues is known. However, we also need to ensure that the build up of issues is not going undetected. So, as an analogy, although your blood pressure may be fine now, is it trending to detrimental levels? And, if so, when will this happen? 12 weeks, 30 weeks, 52 weeks? Physical limits analysis is also critical to your ability to grow. There are numerous examples of businesses that make investments in growth development with no reference to whether their energy system can handle the new level of production. They raise the finance for the development with no reference to transformer limits. When they approach the network operator who then tells them that they need to spend a significant amount of money on a new transformer. This capital spending “shock” then means that the finance director has to go back through a new round of finance raising which can delay their expansion plans by months. Real-time energy asset risk management would immediately allow a finance director to be able to ensure that all requirements for the power delivery from growth are encapsulated in their growth plans. This is a service that we encompass within our energy asset risk management platform. Temperature of electrical circuits is critical. It’s importance is in providing a sign of ill-health in terms of inefficiencies that can be caused by electrical effects such as harmonics. Schneider Electric has a great report on this – looking at the risk limits and degradation issues for different electrical components from temperature. You can find the report here. As well as asset efficiency & degradation issues from over-temperature, the temperature of a distribution board can also enable you to determine the possibility of fire risks & fault de-rating. Also, whether the temperature trend is changing significantly and whether it is beyond safe, regulatory levels. Add the analytics and you can predict if / when regulatory limits will be broken. At Argand, we’re now using distribution board level technology that provides (in addition to asset life & asset risk from power quality issues) real-time temperature data. An example of this can be seen in figure 4 below for our own offices over a 7-day period. You can see the temperature increasing during the working hours when the boards are more in use and under electrical stress. This is a manifestation of the “Internet f Things” (IoT) developments whereby multiple disparate data points can be brought together to add overall value. Monitoring these temperature developments over time we can determine whether there is a build up of electrical health issues. Specifically, health issues which may manifest as higher distribution board temperatures. This is a very simple analogy to understand in relation to a human body. Another critical element of energy asset risk management. From our perspective this is a radical change in analysis that is being driven by developments in IoT monitoring hardware and the interaction with real-time analytics – like ours shown above. We can also use the hardware / software combination to determine how long assets have been running for. This is in relation to their expected lifetimes. This provides an additional enhancement to the overall Energy Asset Risk Management opportunity. Many assets are given a Mean Time Between Failure (MTBF) value. This is the predicted elapsed time between inherent failures of a system during operation. The value is typically in hours (but it can also be the number of switches etc) and indicates the reliability of the asset. For more efficient maintenance of systems O&M teams need to see how long assets have been running for. This enables proactive maintenance. It is a much more efficient way of using O&M resource as opposed to a reactive or planned regime. Luckily this is now possible via our own platform. This adds a new, beneficial element to the value of investing in asset-focused distribution board monitoring hardware. Combined with our energy asset risk management software it provides real value. Using data from energy metering systems we can determine how long an asset has been running for. Then, by applying MTBF methodology we can calculate the probability of failure. This ability to determine hours run in real-time is a simple, yet powerful way to enable really targeted O&M. This will allow pre-failure actions to ensure a smooth delivery of service without significant interruption. The blog is just s snapshot of the possibilities to utilise real-time energy asset risk management within commercial and industrial energy systems. The opportunities to reduce risks and running costs through better use of existing data are increasing. By analysing electrical energy networks through the “Electrical Heath” lens we can start to determine real-time responses. We can provide energy asset risk management at a fraction of the cost of the potential risk savings. This continues to be an area that is significantly undervalued by monitoring solutions. They miss the value from the other data points that can enable a much better understanding of the health of an energy system. Whilst energy metering has typically been used for energy cost reduction only, the critical risks in a system are being missed. New, more proactive ways of dealing with data will drive additional value through risk reductions. This is what Argand are doing and where we are differentiating ourselves from the market. We’re adding value through a combination of cost and risk reductions. Together these will mitigate significant losses in production and revenue. So, do you have an electrical metering system that you’d like to get more value out of? Then give us a call and we can help you really understand the health of your system. 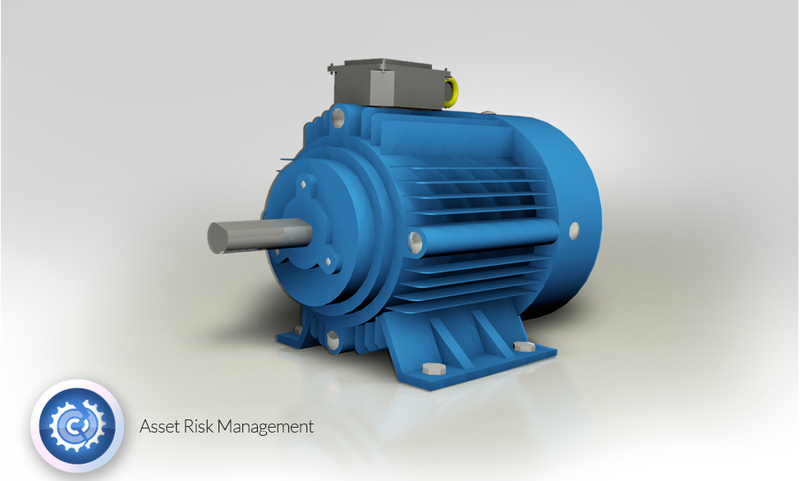 Energy asset risk management will help you to drive additional value through proactive and predictive maintenance.